Since Summer has been blessing us with constant 30 degree celcius weather. 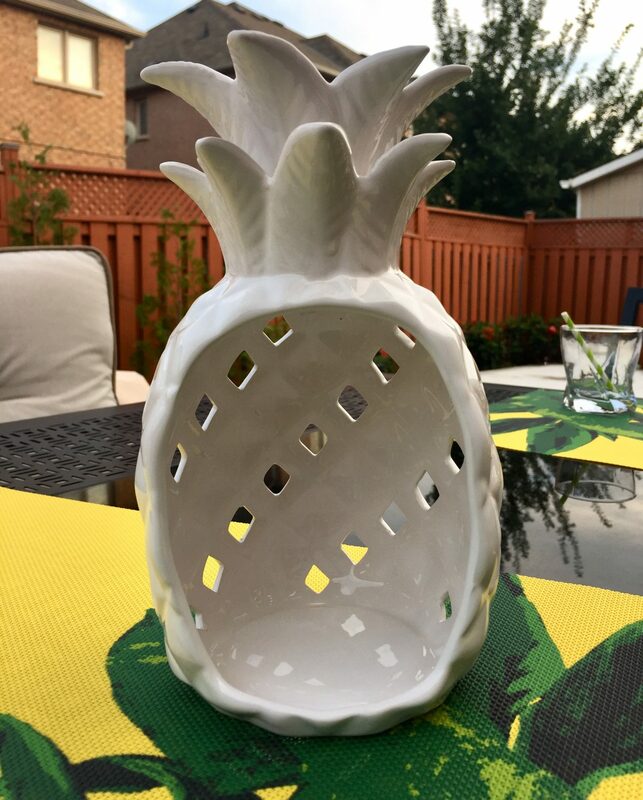 I’ve been spending a lot more time out on my patio. Which means more outdoor feasts and gatherings. 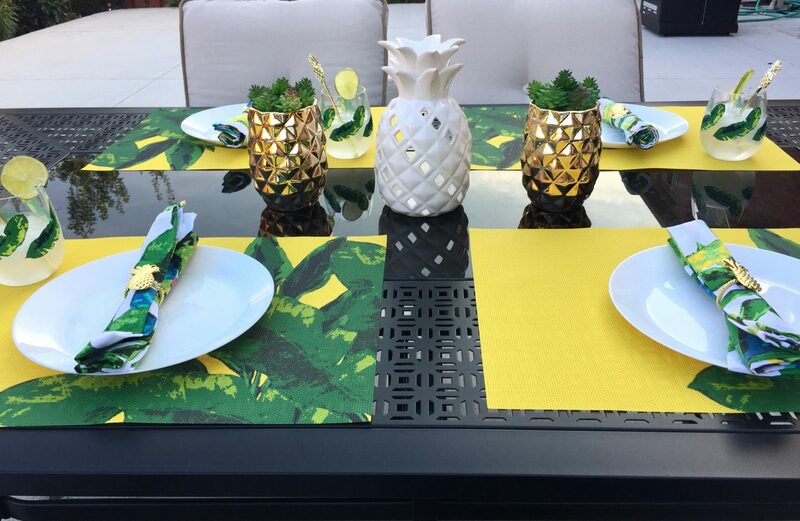 Today, I wanted to share with you some pieces from the Palm Chic Outdoor Decor x Avon, I used to host a tropical brunch. 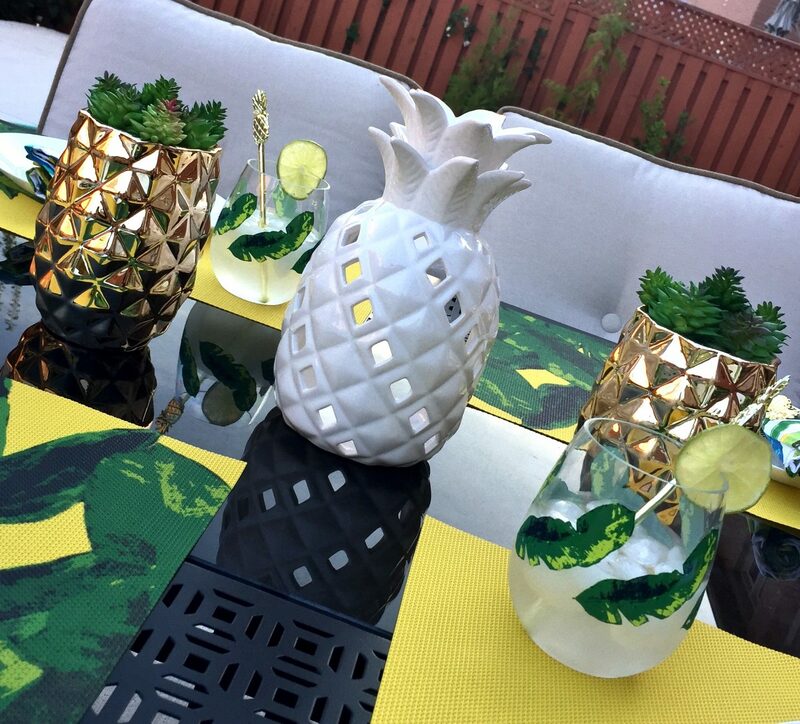 So if you’re looking for some outdoor decor inspiration or hosting a similar theme event, keep reading! How nice would it be to actually be in the tropics but with the weather this warm here in Toronto, it’s nothing short of perfect. 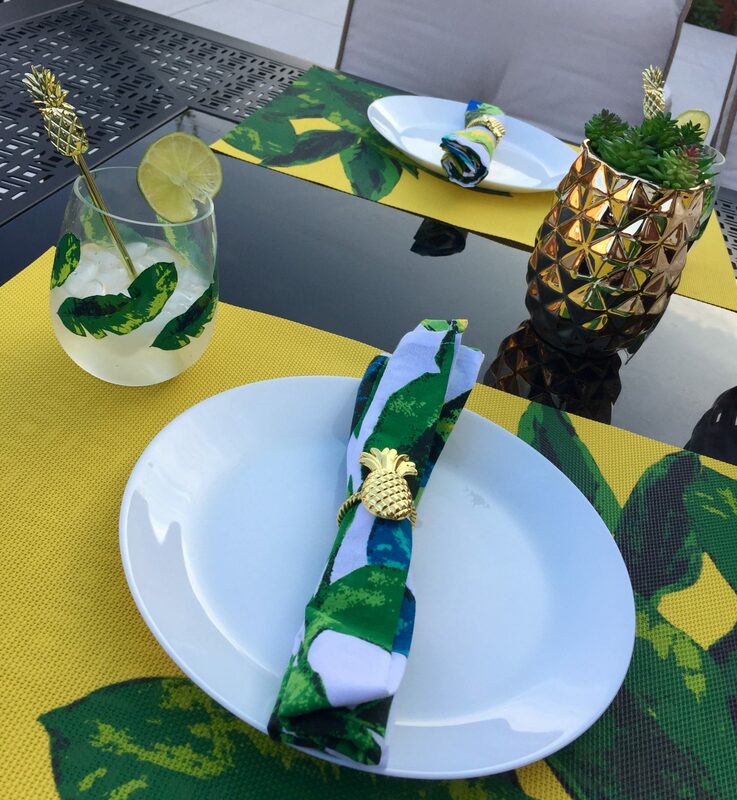 The Palm Chic Collection incorporates sunny yellow hues mixed with the endless shades of green seen in the tropical rainforests. Accents of sky blue and blood orange make appearances in select pieces. 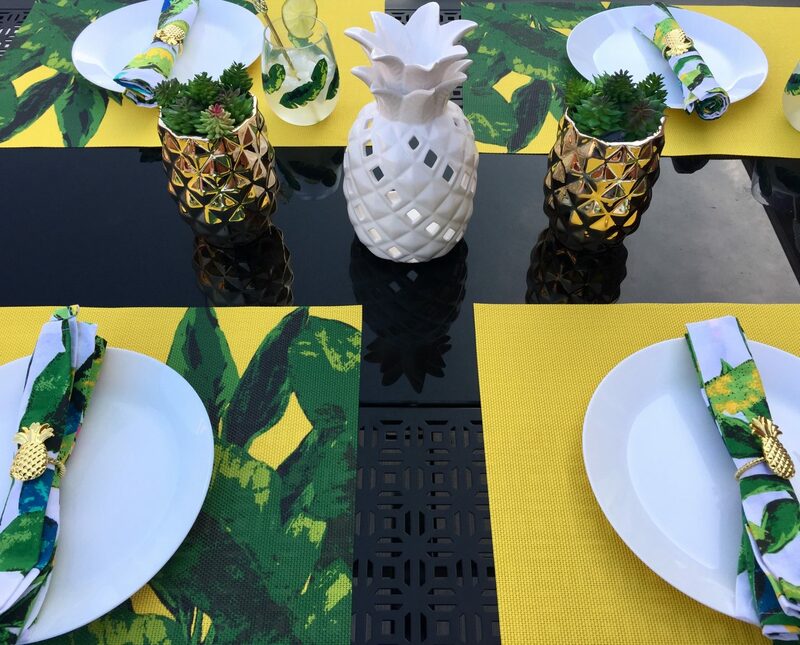 Here’s a rundown of some pieces I used to set the table for my tropical brunch. 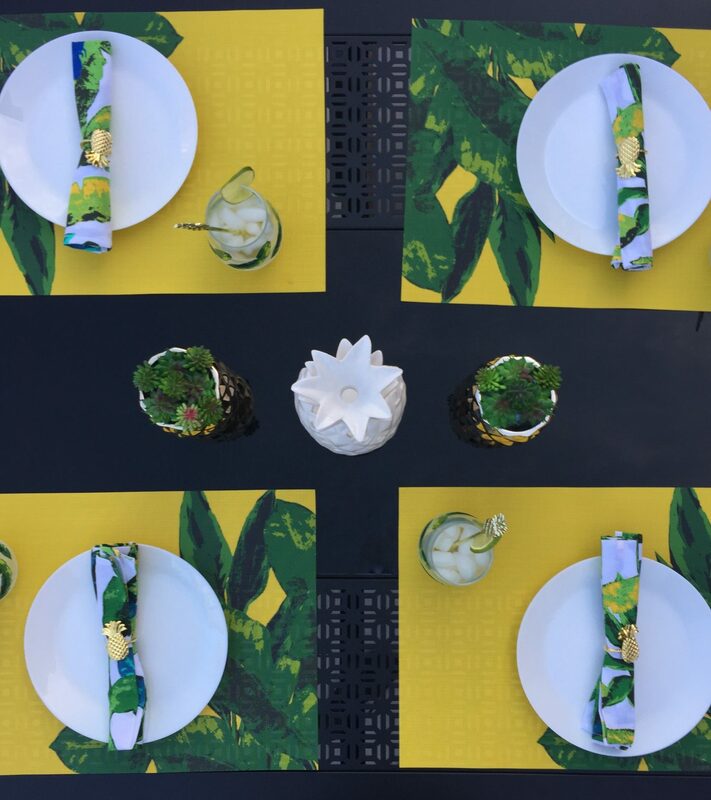 I started off by creating a canvas, by first laying out these solid yellow Palm Chic Placemats (set of 4). 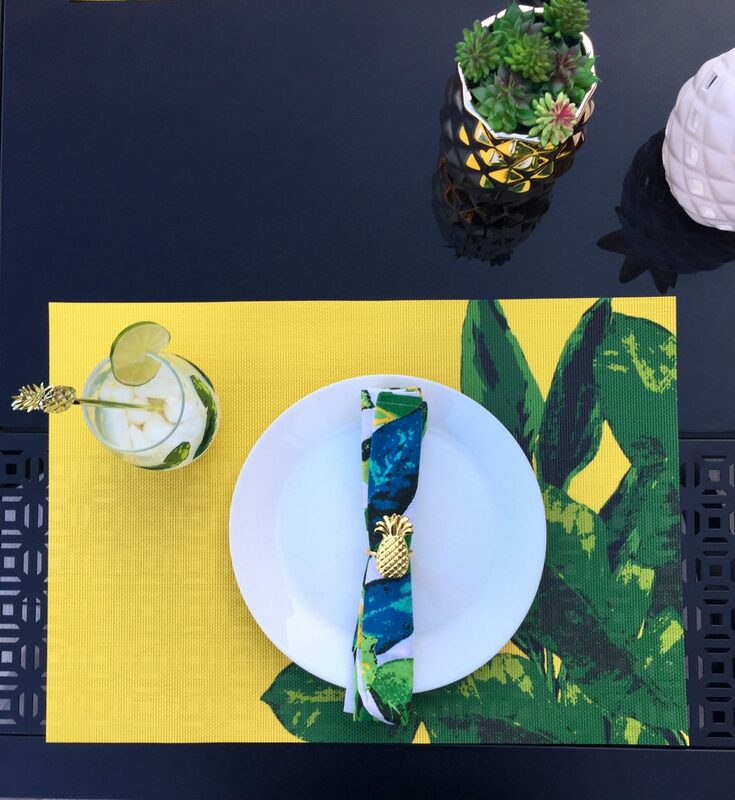 I opted to use simple white dinner plates, so these Palm Chic Napkins (set of 4) really help to bring back some colour into the table setting. 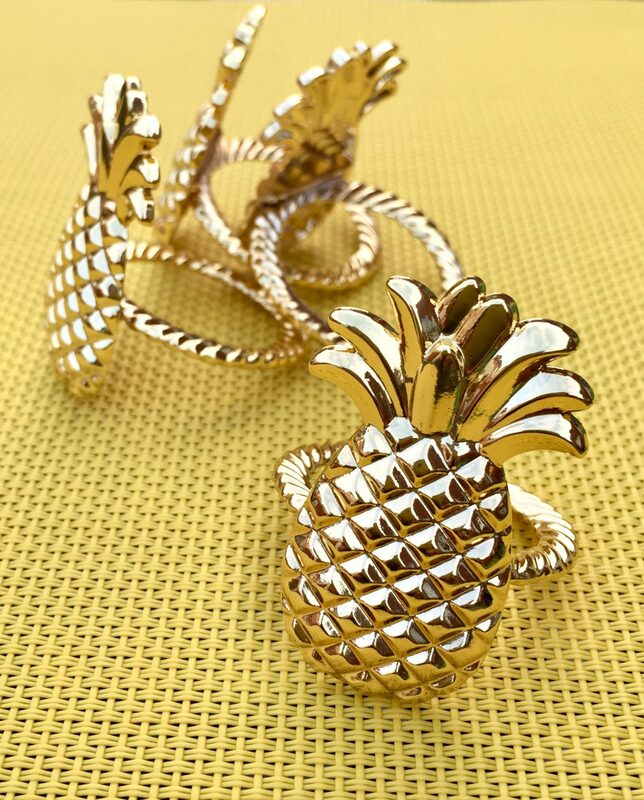 When I saw this next item, I simply couldn’t contain how adorable these mini Palm Chic Pineapple Napkin Ring Holders were! 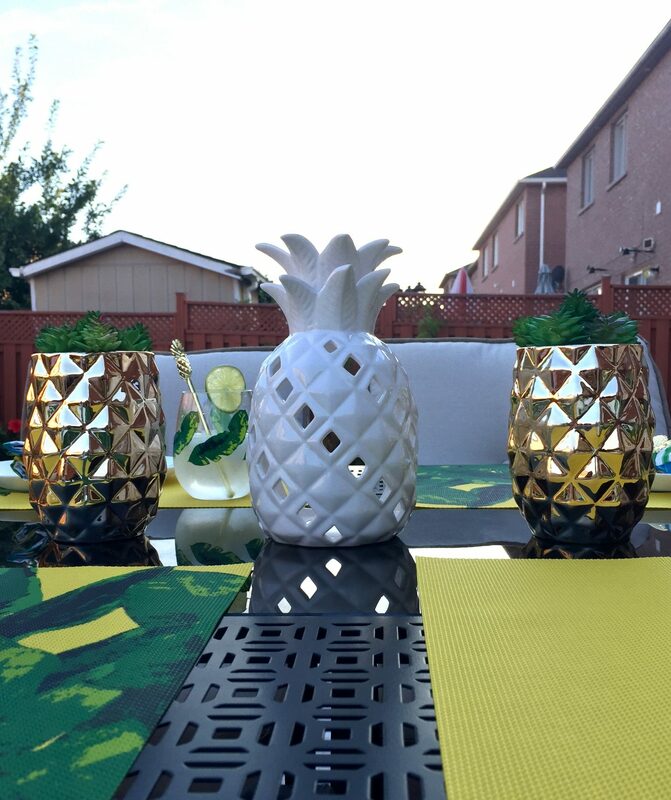 Every table setting needs a focal point and the Palm Chic Pineapple Lantern makes for the perfect center piece. The ivory colour ceramic helps balance out the other bold coloured pieces. 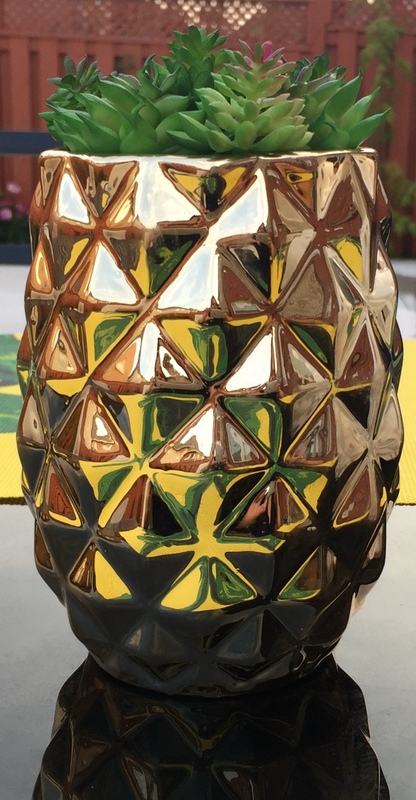 I then added the Gold Palm Chic Planters (set of 2) to either side of the lantern. You can decorate them with fake plants for a hassle free dining situation. Although I have my citronella candles working hard to keep my outdoor space mosquito free. I like having the Palm Chic Food Tent to keep bugs out of my food! It’s super convenient to travel with and store. If any of these home decor pieces catches your eye, then don’t wait to get your hands on your own. As Avon’s selection of products are always changing. 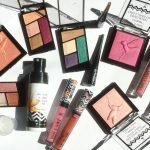 All pieces mentioned are available online or through an Avon representative.